Looking back over the year as we compile the newsletter is an exciting time. We reflect on lessons learned, discoveries made, and connections deepened. We hope that in 2017 you were able to have your own explorations outside, experiencing how our environment impacts and teaches us. Summer was another busy season for WISE, with many exciting programs and eager participants across all ages. Our spring ice fishing day and summer hikes were popular, as always, and had lots of folks enjoying themselves and learning outdoors. The Copper Country Discovery Tour, which generates revenue for WISE, had its best year yet, and we introduced a second tour - Field Sketching and Watercolor. Back in June, I participated in a WISE workshop, learning about wild plants with author Janice Schofield. 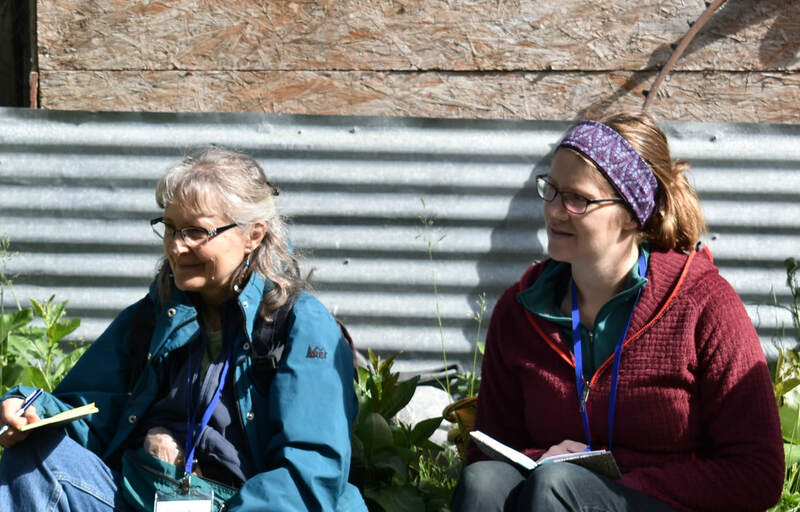 We spent two and a half days looking closely at everything growing around us, learning exciting medicinal and culinary uses for plants we had often ignored, or even tried to remove over the years (dandelions!). Every participant seemed struck by the wealth of resources we have right outside our doors. Towards the end of the class, Janice encouraged us to each pick a plant and spend some time with it: feeling it, smelling it, tasting it (depending on the plant), and drawing it. Even participants with many years’ experience with wild plants were impressed by how this activity, especially the drawing, ingrained that plant’s unique characteristics into their minds. This simple artistic exercise helped us all see our environment in a new way. Throughout our programs, WISE looks to engage participants on many different levels, helping them use different mediums to learn and express themselves. Using art as a method of expression not only helps the artist to understand their world better, but it offers a powerful perspective to the observer, helping them engage at a deeper level. Throughout this newsletter, you’ll read and see examples of how WISE is using art in environmental education. At the end of another full year, we owe a big thank you to our Executive Director Robin Mayo for her deep well of enthusiasm, creativity, and knowledge. She works tirelessly to make WISE programs the best that they can be, and is always looking for ways that we can expand and improve. And of course, we would like to say “Thank you!” to all of you, our donors and supporters. Whether you donate to WISE financially, or with your time and energy, you are an integral part of our work. WISE would not be able to continue growing, educating and impacting more individuals every year without your support.